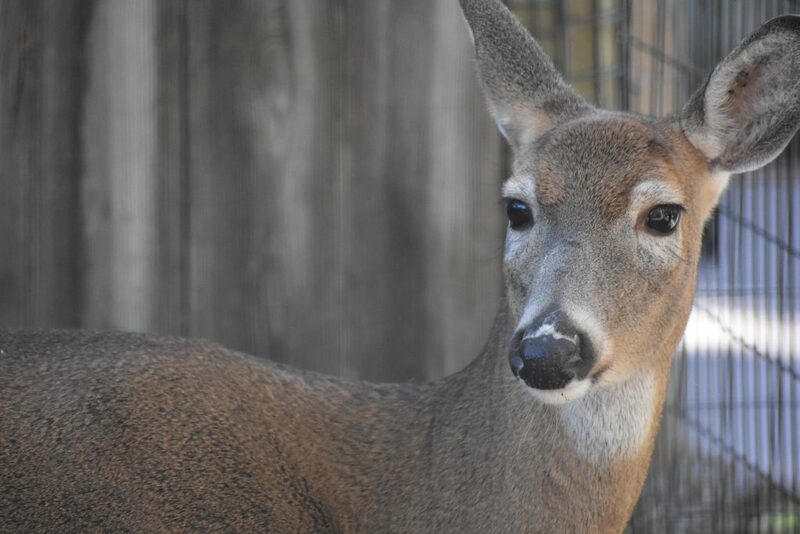 Melinda, our white-tailed deer, was thought to be abandoned as a fawn. Friendly people took her in and raised her, with the intention of releasing her back into the wild. 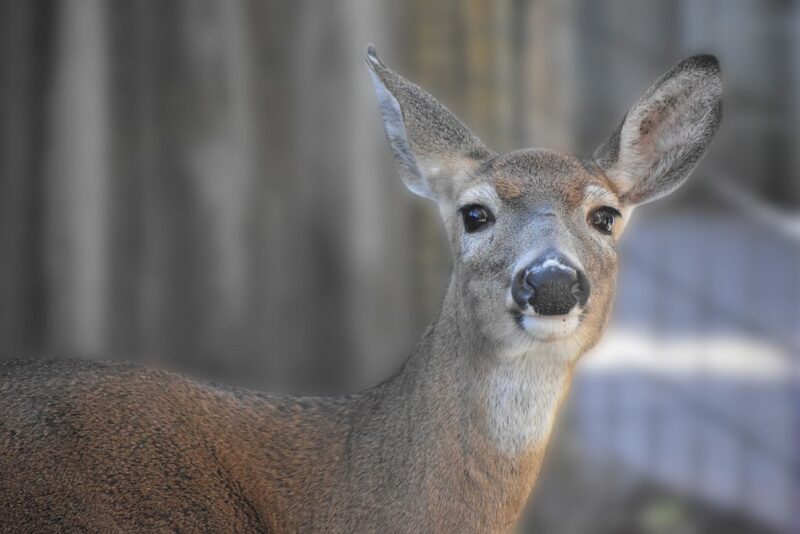 Unfortunately, she was imprinted on people, meaning that she thought humans were the BEST… which can be dangerous for a deer. Because she could not safely live in the wild, the Zoo offered to provide sanctuary for her at the Zoo. White-tailed deer are the shyest, most skittish of the deer. They are remarkable swimmers, often going into large bodies of water to escape terrestrial predators and bothersome insects, or to reach remote islands with potentially untapped food resources. Their characteristic white tail makes them very easy to see as they run away. White-tailed deer are able to run at speeds up to 30 mph through tangled terrain in a forest.